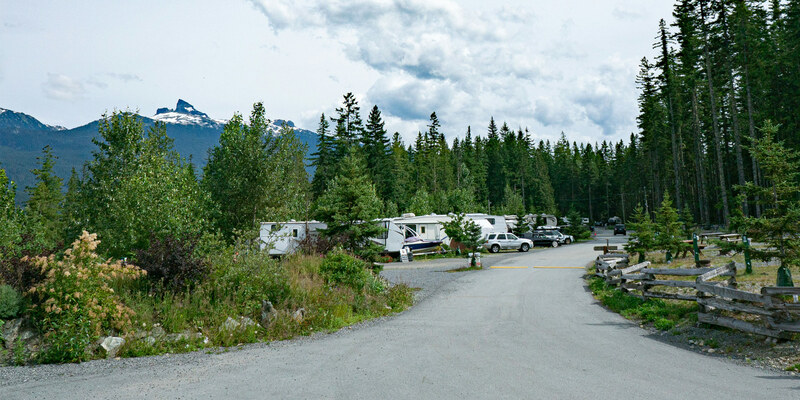 On a gentle slope above Fitzsimmons Creek in a picturesque evergreen forest, these serviced RV and multi-use campsites are in the heart of nature, surrounded by spectacular views and fresh mountain breezes. The resort also offers yurts that are nestled in the woods overlooking Whistler Valley. 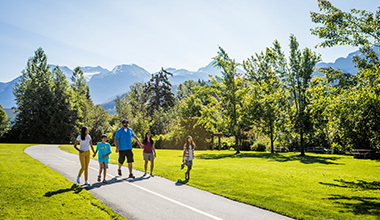 Located on the BC Coastal Mountain range, the park provides outstanding views of Black Tusk and the Whistler area mountains; the sunrises and sunsets are truly awe-inspiring. A modest brown sign marks the entrance to the campground at Cal-Cheak Forest Service Recreation Site, 4.3 km (2.7 miles) north of Brandywine Falls Provincial Park. Visitors must cross the railway tracks, then journey a short distance beyond to reach the first of three small locales around which rustic campsites are grouped in a pleasant, heavily forested location. Just north of Cal-Cheak, on the west side of Hwy 99, is the beginning of the Callaghan Forest Road. Although the road is rough in places, particularly in spring when frost heaves the ground, if you take it easy it leads to two Forest Service recreation sites. One small campsite is at Alexander Falls, located 7 km (4.3 miles) along the road; a nest of similar sites have been fashioned by years of campers on the shore of Callaghan Lake 15 km (9.3 miles) west of Hwy 99. Of all the campsites in the Whistler region, the view from Callaghan Lake is the best. Camping at Garibaldi Lake in Garibaldi Provincial Park is restricted to two designated areas - Taylor Meadows and the west end of Garibaldi Lake. The hiking distance to both locations is the same, about 9 km (5.6 miles) from the Garibaldi Lake/Black Tusk trailhead, located 4 km east of Hwy 99, 19 km south of Whistler. A common trail leads to within 1 km of each, then divides. Tent pads and a covered cooking shelter are located at each. Campers must bring their own stoves and be prepared to pack out all refuse. During summer months, there is a camping fee per night, per site. When water levels in Garibaldi Lake are high, be prepared to wade a short distance along the shoreline to reach the campsites on its west side. There are also wilderness campsites at three locations on Cheakamus Lake in Garibaldi Provincial Park. The easiest one to reach is at the west end of the lake, while those at Singing Creek and Castle Towers Creek are more remote. You'll need a boat (and a couple of hours' paddling) to reach the primitive site at Castle Towers from the launch at the lake's west end, which almost guarantees that you'll usually have the site to yourself. From the trailhead, located about 7 km (4 miles) south from Hwy 99 on Cheakamus Lake Rd, it's an easy 3.5-km (2-mile) hike to reach the first sites at Cheakamus Lake, situated beneath a sheltering old-growth forest. The sites at Singing Creek are a further 3.5 km of moderate hiking along the north side of the lake. Castle Towers Creek enters Cheakamus Lake directly across from Singing Creek. Elsewhere in Garibaldi Provincial Park, there are wilderness campsites at Russet Lake, 2 km east of Singing Pass, and at the northwest end of Wedgemount Lake. Fill your nights with crackling fires, marshmallows and stories and your days with fun outdoor activities. Here are some suggestions for easy to access activities in the area. 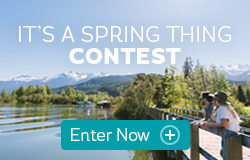 Whistler.com Travel Consultants are available to assist with booking activities, but are unable to reserve campsites at this time. For reservations, please contact campgrounds directly. Hiking and camping go together like skiing and après, so what better way to get to know the Whistler hiking scene than with the Insider.